When securing a bond for yourself or a loved one, it is important to be aware of the various types of bail bond collateral that you might be able to use. If the accused fails to appear for scheduled hearings and the trial after being released from jail on a bond, this collateral may be retained by the bondsman to be sold as repayment for the full amount of bail as a part of the bond agreement. A detainee may have an opportunity to contact a bail bondsman or a friend or loved one for assistance. The bail bondsman will require 15% of the bail amount as a fee. The bondsman will then make arrangements for the full amount of bail to the detention center in order to begin the release process for the individual who was arrested. You can hire a bail bondsman for 15% of the bail amount. While this amount is typically paid in cash, an individual may not have access to that much cash, either in a bank account or by using a high limit credit card, if the amount of bail is set very high. In that case, a bondsman will take certain items in lieu of cash to hold until the accused takes care of all legal matters or as payment for the 15% fee. Large items of property, such as a home, land, or car may be used. Smaller property items that can be pawned or are of great value, such as jewelry, gold or silver coins, or firearms may also be considered. Basically any item that has value can be used in place of cash to secure the release of the arrested party from a detention center. As long as the accused shows up for all hearings and trial dates, the only fee will be the 15% paid to the bondsman. If the accused does not show for hearings or trial, the bondsman can use various means to find and secure the defendant, including the hiring of a fugitive retrieval service. The bondsman has 6 months, after which time the bondsman will lose the bail that was put up at the jail for the accused as a part of the bond agreement. In addition to the 15% fee, the defendant will now owe the full amount of the bail to the bondsman. In this case, the bondsman can collect any collateral that was used to secure the bond. When putting up property or cash to secure a bond, you want to deal with someone you can trust. That is where Marc Gabriel at eBAIL comes in. We are fully insured and accredited with the Better Business Bureau. We can help you with payment arrangements with little or no money down. If you or a loved one is arrested in LV, Nevada, you can make a bail bond agreement with a qualified bondsman in order to secure your release before trial. You can agree to this bail contract so that you do not have to remain at the detention center until the date of your trial. There are some responsibilities that you should know about before you enter any type of contract. After being arrested and taken to jail, the accused will have a bail amount set by the courts based on the severity of the offense. A friend or family member can pay the full amount of bail that is set by the judge in order to secure the detainee’s release from the detention center. You can also find a bondsman in LV, Nevada. You are only required to pay 15% of the bail amount in order to begin the release process. Another option is to hire a lawyer to try to have the bail lowered, but this can take time where the defendant will remain behind bars while waiting for the new bail hearing. The law requires that a bondsman collect 15% of the bail amount as fee. In many cases, collateral may be required as well. Once this fee is paid, the bondsman will go to the jail and cover the full amount of the bail. This is when the release process can officially begin. The bail contract is required to ensure that the accused will show up for any subsequent court dates. As long as the defendant shows up at court when scheduled, there will be no additional fees owed to the bondsman other than the 15% already arranged. This 15% fee that is paid to the bail bondsman is not refundable. If the defendant breaks the bail bond agreement by missing court dates, the accused may reschedule the date immediately in person or through an attorney or may risk further action. If no attempt is made by the accused to contact the court, the bail bondsman has 6 months to apprehend the defendant to transfer to the courts. The bondsman may choose to hire a Fugitive Recovery Service, more commonly known as a bounty hunter, in order to find and secure the accused. If the defendant cannot be located within the 6 months, the bondsman is required to pay the full amount of bail to the courts. The accused will then owe the full amount of bail in addition to the 15% already arranged as well as any additional fees imposed. The bondsman may also collect any collateral that was held as security for the bond. You do not have to take chances with your money and your freedom when you work with Marc Gabriel and eBAIL. At eBAIL, we take pride in providing professional service to each client. We maintain the respect of some of the top attorneys in the area, who regularly refer clients to us. We are fully insured and maintain a positive rating with the Better Business Bureau. If you do not have the full 15% of the bail amount, we can work with you to arrange payments, with little to no money down. Get the help you need fast with eBAIL. If things went bad when having a good time while in Nevada, you may have to find out how to bail a detainee out Las Vegas jail. With more than one jail in the area, it can be difficult to know exactly where to go or what to do to help. That is where eBAIL comes in to help you promptly. Where are detainees taken when arrested? At eBail, we will find out for you where your friend is being held so that we can make the appropriate arrangements for release. Your friend or loved one will go to a bail hearing where the judge will make a decision on what will happen to the individual while awaiting trial. The individual may be released on their own recognizance with no need to post bail. This is more likely to occur with a misdemeanor offense. More serious offenses, such as felonies, may require a bail amount. This means that the individual may be released after a certain amount of money is paid as a guarantee that the person will return for trial. For murder cases or when the individual poses a flight risk, the judge may remand the person without bail. At eBail, we can find out if bail was set and the amount required by the judge. If a bail amount has been set, it might not be possible for you to come up with enough money to pay the entire amount. In this case, you might need the assistance of a qualified Las Vegas bail bondsman. You will only have to pay part of the bail amount, which is 15%. The bondsman will then pay the entire amount of bail to the Las Vegas jail on your behalf. This will begin the release process for the detainee. How expensive is a Bail Bond? A Las Vegas bail bond can be obtained for 15% of the amount of bail that is set by the judge or the courts. If bail is set at $1,000, you can pay the bondsman $150 to secure the bond. We understand that you may not be prepared to pay even 15%, especially if the bail is high. We can work out payment arrangements with you here at eBAIL. With little or no money down, we offer weekly or monthly payment plans to fit your budget. You do not want to take chances when the freedom of your friend or loved one is on the line. Choose no less than the best with Marc Gabriel and eBAIL. You can work with a skilled Las Vegas bail bondsman from our service. You can pay the bond in as little as three minutes with our online form. We’ll post bail quickly so that the release process can begin right away. 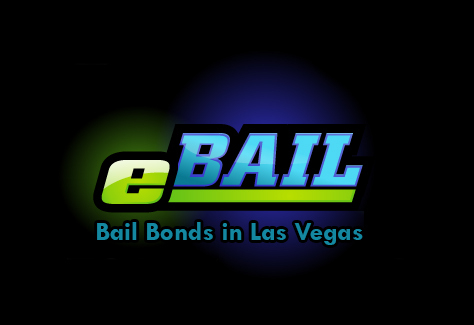 If a friend or loved one is arrested in Las Vegas and needs a bailout, do not hesitate to contact eBAIL right away for assistance. Being arrested in Las Vegas can undoubtedly put a damper on your fun and the good times for which this cultural center of Southern Nevada is known. When help from your family and friends can be thousands of miles away, it is good to know that you do not have to spend the rest of your time in the big LV locked away inside of a cell, waiting for a trial. An experienced Las Vegas bail bondsman can get help you to get out at a fraction of the cost of paying your entire bail. What happens when you are arrested in Las Vegas? When you are placed under arrest, you will be taken to one of the facilities in or around Las Vegas for booking. You will be photographed, fingerprinted, and searched thoroughly. You will wait in a holding cell until a judge can hear the evidence to set your bail amount. It can be confusing to find a detainee in LV, because there are three different facilities that might be used. These are the Clark County Detention Center, the City of Las Vegas Detention Center, and the Henderson Detention Center. If a friend or family member is coming to your aid, it can help to tell them where you are being held. Can I “Bail Out” a Detainee? Once the judge has set the amount of bail on your friend or family member, you can go to the jail and pay the full amount of bail, or you may find a qualified Las Vegas bail bondsman to help you out. If you do not have the full amount of money to pay the entire bail at once, you might want to choose the option of working with a Las Vegas bail bondsman. You will pay 15% of the set bail to the bondsman. The bondsman will then go to the jail and pay the entire amount of bail on your behalf. Your friend or loved one will then begin the release process. Looking at the cost of bail, a bond is truly a more cost-effective choice. This is especially true if you do not have perhaps thousands of dollars saved up and ready to use. The cost of the bond is 15% of the bail amount that is set by the judge or the courts. Are there payment options with eBAIL? At eBAIL, we want to make it easy for you to get the assistance that you need. We have payment plans available with little money down with no money down if necessary. Our convenient monthly or weekly payment plans are designed to fit your budget. If you are arrested in Las Vegas, Nevada, turn to Marc Gabriel and eBAIL. We can post bail at most facilities in as little as 15 minutes to get the release process started quickly. We’re licensed by the Nevada Department of Insurance and maintain a positive rating with the Better Business Bureau. The top attorneys in town refer their clients to us. With confidential service and easy financing options, eBail is ready to help secure your release. A lot of people ask me this question, therefore I wrote this quick explanation to not only answer the question but to also clarify any misunderstandings. The formula to determine the cost of a bail bond is very simple: 15% of whatever the bail amount is. The bail amount is set by the jail or judge and as a bail agent I have to charge 15% of that bail amount to be compliant with the law. Yes, you read this correctly! 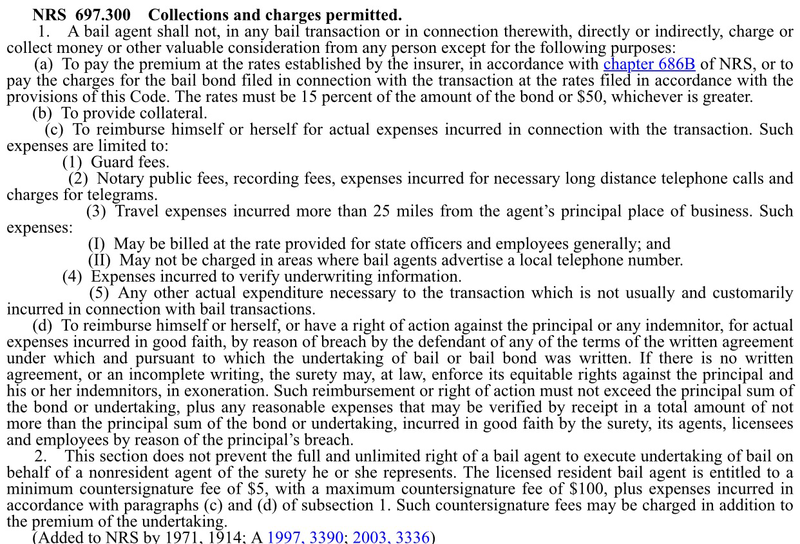 NV Law (NRS 697.300) requires all bail agents to charge 15%! Anybody that charges more or less then the 15% is acting illegally!!! Obtaining a bail bond is a serious affair since an executed bail contract gives the bail agent almost exclusive power over the defendant and the cosigners. So, the question arises that if a bail agent is willing to break the law on the state mandated 15% fee, what other illegal actions is he or she willing to do??? Late on a check-in date? Missed a court date by mistake? Because the agent doesn’t like you? Guess what – a crooked agent will do that! To protect yourself, the defendant and your client read the reviews of the agent or company that you are thinking of doing business with. Selecting a bail agent that is willing to break the law could be a very costly mistake that could not only cost you a fortune but also your freedom! The bail fee could be expensive because of a large bail amount – but do not worry – I will work with you to make it affordable with LITTLE MONEY DOWN and EASY PAYMENTS. Call me on my cell with any questions 702-580-3911. If the bail amount is lower than $50,000 I could execute bail bonds just based on the cosigners signature. If the bail amount is above $50,000 I could execute bail bonds through an “Irrevocable Letter of Credit” from the cosigners major foreign bank. It is not rare for foreign nationals to get in trouble with the law especially here in Las Vegas. Lately there has been an increase in white color crimes that involve money laundering and gambling schemes that carry bail amounts into the millions of dollars. I can help these people make bail. Call me, Marc Gabriel, right now at 702-462-9200 and I can get Las Vegas Bail Bonds done for any amount into the Millions of dollars. The cheapest way out of jail is to pay only 15% of the bail as set by the jail. 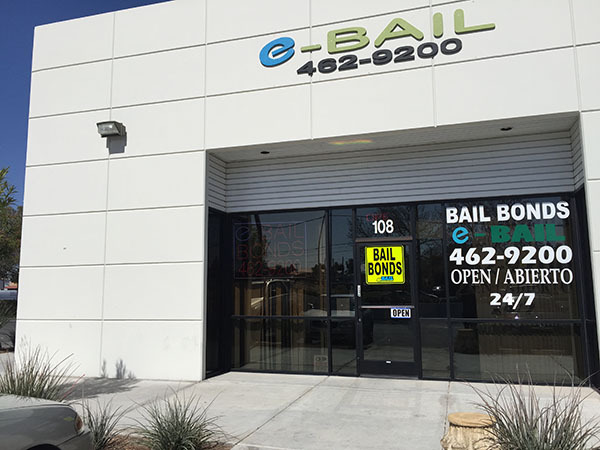 The best part is that we here at eBAIL Bail Bonds make this process fast, easy and affordable through LITTLE MONEY DOWN and EASY PAYMENTS on the state law required 15% fee. Call now 702-462-9200 to inquire. CCDC or Clark County Detention Center release time average is 6-16 hours and very rarely over 20 hours. Las Vegas Detention Center release time average is 6-16 hours. North Las Vegas Detention Center release time average is between 6-24 hours pending on when bail is posted. This jail only processes NLV bail between 6pm-8pm. Henderson Detention Center has specific release times: 3am, 10am and 9pm. If you have any questions regarding bail, release times or next court dates please call us at 702-462-9200 right now. Last Friday, February 6th, 2015, the Las Vegas Sun reported of a Bail Bonds Scam in Las Vegas that cheated people out of their money. Certain Bail Bonds Companies were promising to get someone out of jail, then not performing and keeping the money. The Metro Police Department urges anyone that has been scammed to immediately file a police report. It is also recommended that you do your research before hiring a Las Vegas Bail Bonds Agent: Read reviews, ask for current license, BBB Accreditation and check with the NV Division of Insurance. Two area Las Vegas Bail bondsmen have been arrested after posing as police officers and kidnapping an alleged female victim and taking her cell phone. Christopher Ontiveros-Mendez, 28, and Charles Rush, 29, both of Las Vegas were arrested and booked on multiple charges including impersonating a police officer, use of a deadly weapon, kidnapping, and robbery among more serious charges. The incident occurred on July 12th after an exotic dancer employed by All Access contacted Metro Police regarding the two Las Vegas Bail bondsmen, who used fake police badges and took her into custody against her will, attempting to take her cell phone, personal items, etc. Ontiveros-Mendez and Rush, were arrested later that evening after they released her from their custody. Both men were booked into the Clark County Detention Center and will be arraigned in the Las Vegas Justice Court on the impersonating a police offer, use of a deadly weapon, the kidnapping, and the robbery charges. The Bail Bondsmen are also under investigation for a similar crime that another dancer claims happened to her as well, with both Bail Bondsmen attempting to pose as police officers to gain to her into custody as well. The incident took place at a Las Vegas apartment located at 8025 W. Russell Rd. The men posed and arrested the dancer, stating that she was in trouble for prostitution. They placed her in handcuffs, took her cash, beauty items belonging to her, and her wallet along with her cell phone. After half an hour of being restrained, the two men released her. The two men were attempting to gain information about a man who they claimed was a suspect in another crime and they were looking for him. The two dancers were able to identify both men as the ones who restrained them, and attempted to use deadly force to search and rob them of personal possessions. The charges both men are facing are felonies and if convicted, could put them behind bars for many years to come. The names of the victims have yet to be released, and more information should be released regarding the case of both victims against the local men in the coming days. It is unknown whether the two dancers know one another, or if they both know the man in which the bondsmen were attempting to gain information about. Rush and Ontiveros-Mendez expect to plead not guilty.